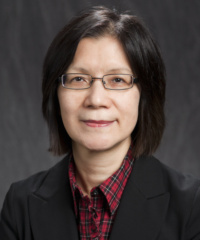 UCGIS is pleased to announce that Dr. Nina Lam, Professor and E. L. Abraham Distinguished Professor of Louisiana Environmental Studies in the Department of Environmental Sciences at Louisiana State University, has been selected to receive the inaugural 2016 Carolyn Merry Mentoring Award. Dr. Lam has supervised 17 PhD and 25 Masters students, and has served on more than 300 student committees as co-advisor, minor professor or committee member across The Ohio State University and Louisiana State University. Her advisees praise her for her consistently high standards, sincerity, and generous offering of time and advice. She actively supports all aspects of her students’ professional lives, encouraging and enabling them to be as successful as possible. The Carolyn Merry Mentoring Award was established by UCGIS in 2015 to recognize an individual who demonstrates exceptional mentoring abilities and practices. Professor Carolyn Merry embodied the spirit of a mentor by sharing her wisdom and experience with colleagues, particularly junior scholars, as a scientist, educator, and academic leader. Professor emerita of Civil, Environmental and Geodetic Engineering at The Ohio State University, Dr. Merry was known for her scholarship and leadership in remote sensing and geographic information science. The goal of the Carolyn Merry Mentoring Award is to recognize the commitment she demonstrated to mentoring and the investment of others who share this philosophy.